Below is a list of 10 DIY ideas for your kitchen. 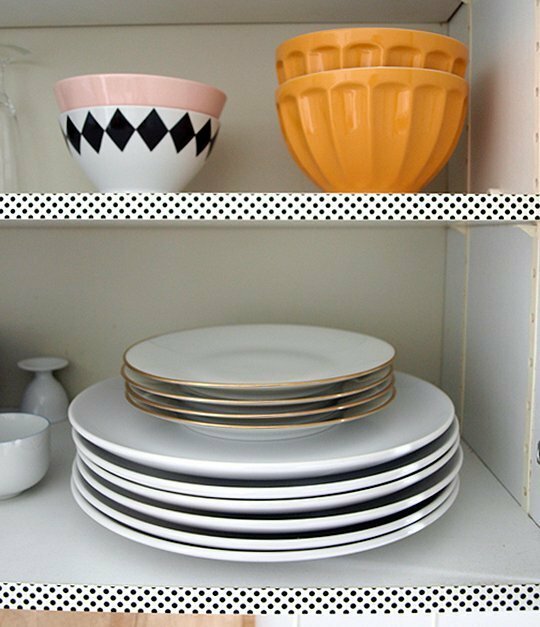 Following this list, or one very similar, can have your kitchen looking so beautiful and different in a matter of no time simply by sprucing things up and adding a personal touch to your accessories and appliances. 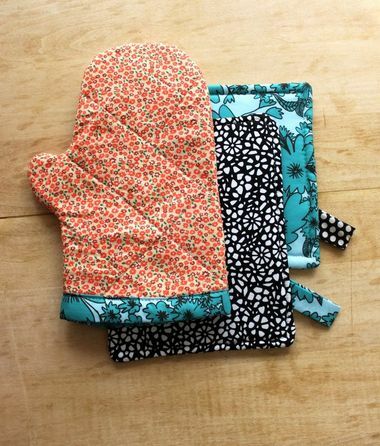 So gather your supplies, set aside some time, and have a little fun this weekend. 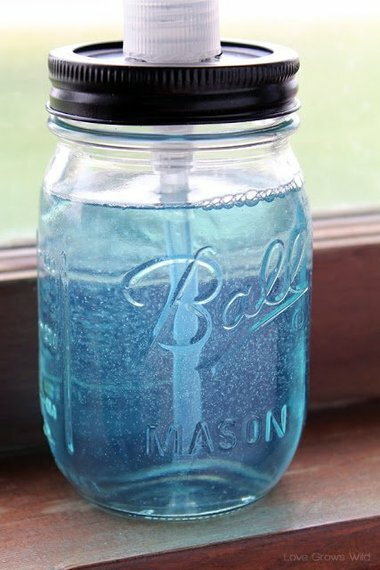 With just these supplies you can create a totally chic alternative to that generic dish soap bottle (maybe even more than one?) we know you have lying around. There are two positives to this. 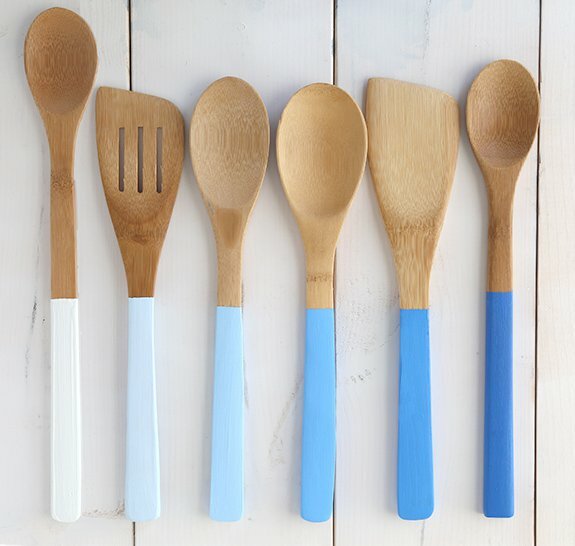 1) You will finally be able to know which spoon is which, even if they are face down in a jar, and 2) This has to be the easiest project ever. By the way, there are no cons. Did you know that it’s very bad if you’re cutting your meat and your veggies on the same board? The bacteria from meat and poultry may stay on your cutting board long after you’ve pan-seared that baby up. If you’re thinking of making a fresh salad and chopping up your greens on the same board, consider yourself warned: It’s a no-no. 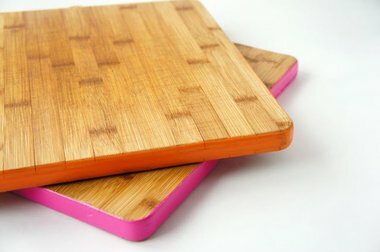 Color-coordinate your boards! Better yet: Purchase a plastic board for your meats to make sure everything is as sanitary as possible. 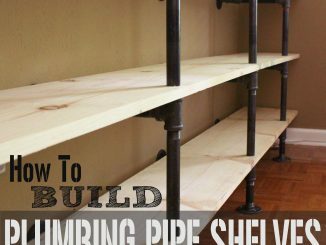 The best way to liven up your shelves is right at your fingertips! 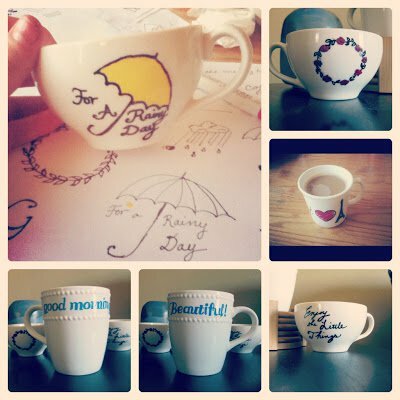 Make old mugs feel new again with these artful doodles! Who says you can’t look cute in the kitchen? Even bold pops of color from small items such as kitchen mitts will surely liven the space up. 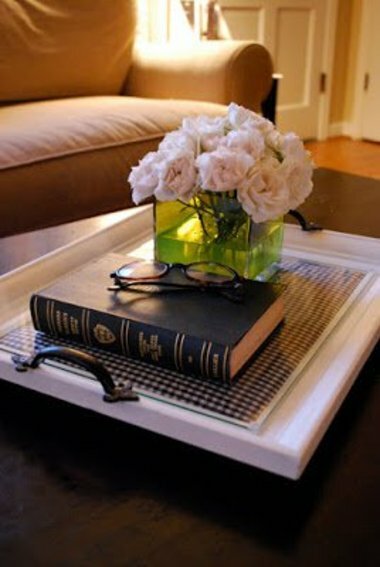 Nothing says “adult” more than a beautiful serving tray. Bring guests over for tea and present them with this A+ tray. 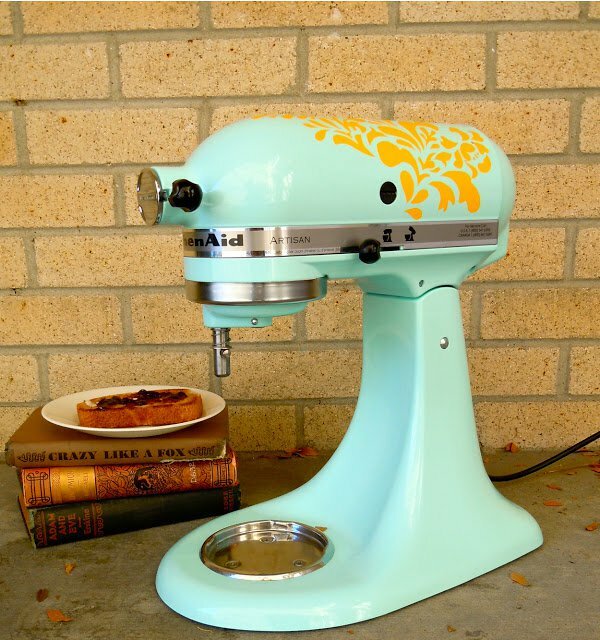 Well, a KitchenAid mixer is a trophy in and of itself, but perhaps you have one that is looking a little dull? These stencils are pretty and add personality. 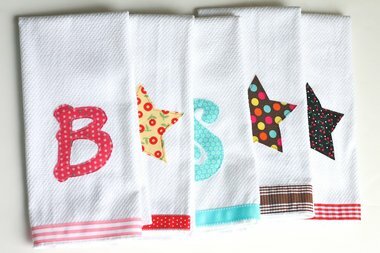 Personalized hand towels aren’t only cute, but also great for the environment (and your wallet)! 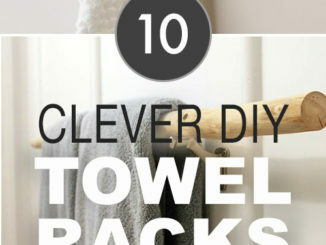 Think of all the paper towels you won’t have to buy and waste! 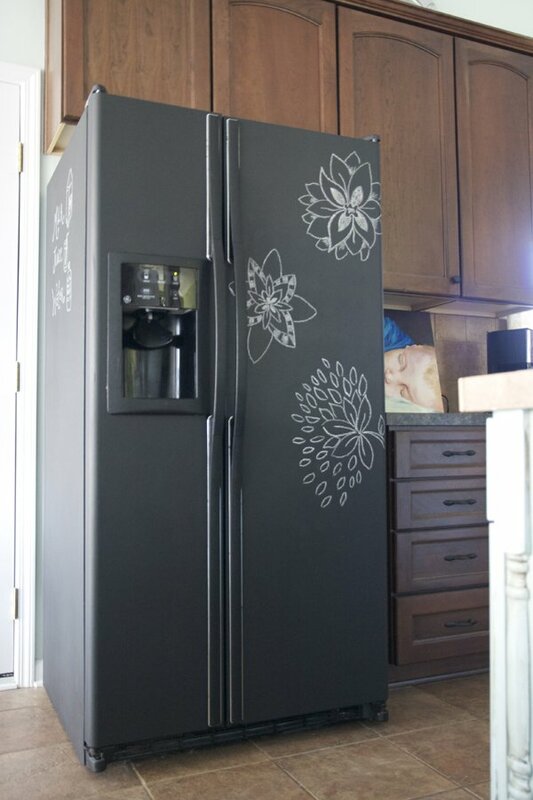 Nothing is off limits when it comes to chalkboard paint! Not only is the black sleek, but it’s a great place to scribble messages and reminders.